Purchasing a diamond or a piece of jewellery is always an important event. The famous 4Cs (color, clarity, cut and carat weight) are well-known throughout the world and they are a good step to start but sometime it is not enough. Anyone who stands in front of you, whether you are working with, buying from or selling to, he must instill a feeling of trust, honesty and reliability. Not all certificates are accurate and truthful information, especially not all of them are internationally recognized. In a few words the 5Cs, the confidence, it is related to the confidence in the jeweler, the confidence in the certificate verifying your purchase and the attendance of a jeweler knowledgeable about diamonds and jewellery able to make you feel confortable during your purchase. These combinations of confidence often express to be the winning formula for an intelligent purchase and they get the first step of the podium as the most important 5Cs. 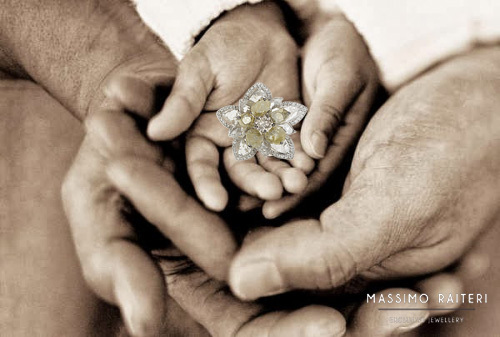 MASSIMO RAITERI cooperates just with professional shops, just offering highly internationally recognized gemological certifications.